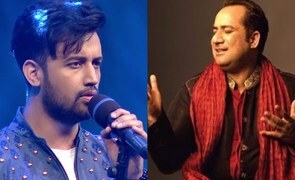 Teaser Alert: Baarishein by Atif Aslam sounds addictive! "Baarishein yun achanak hui, toh laga tum sheher mai ho"
With Valentine’s day just around the corner, Atif released the teaser of his new song Baarishein featuring the Pyaar ka Punchnama famed actress Nushrat Barucha, and they both look simply superb. 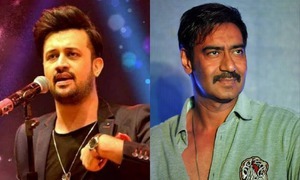 Being released by Indian label T series, written by Arko, directed by David Zennie and presented by Gulshan Kumar, the short teaser suggests the story of love and heartbreak through the song. Nushrat looks ravishing and Atif handsome as always. 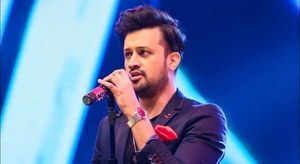 Atif previously released his single 12 Bajay, which not only was loved by his fan following but also became an instant hit. With Baarishein releasing on 13th Feb and brimming with love, we're sure this will resonate with the audience as well.